Christian Atsu opens up about ‘father’ figure Rafa Benitez in fascinating interview – NUFC blog – Newcastle United blog – NUFC Fixtures, News and Forum. 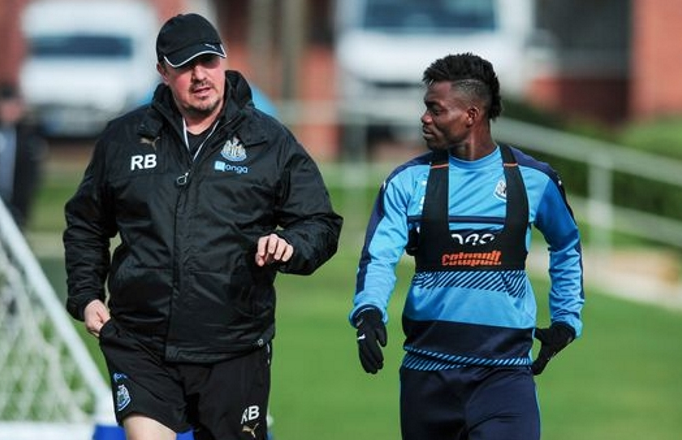 In a brilliant interview with the Guardian, Christian Atsu has described Rafa Benitez as being ‘like a father’ to him – saying he encourages him ‘almost every day’ and is someone you can talk to ‘about anything’. This comes as quite an admission given the winger has lost his own father himself, with Atsu continuing to do brilliant charity work to help those in poverty back in Ghana. “Rafa’s like a father, he encourages me almost every day. “Tactically Rafa’s very detailed but he’s not just about tactics and coaching. He’s very good at the human side of management which is so important. “Everyone here finds Rafa warm. If you have a problem you can go and speak to him, you can talk to him about anything. There’s been some who claim Rafa’s a brilliant tactician but someone who’s man management skills are a little distant – but Atsu’s assessment of his style here paints a very different picture. Atsu has been the weak link in our side from an attacking perspective in the last few weeks, but let’s hope Almiron’s arrival really pushes him on. After all, I don’t see him getting in ahead of Almiron or Perez if he doesn’t seriously improve his final ball.